Once a month, 3- and 4-year-olds, as well as 5-year-olds who are not attending Kindergarten, gather together at Temple Beth El for our Sunday morning K’tanim (“little ones”) Program. There, from from 9 am – 11:45 am, they learn about Jewish holidays, simple prayers and blessings, Bible stories and Jewish values through music, dance, special projects and a variety of exciting and fun activities. Like K’tanim, Teva Kids is a Sunday morning drop-off educational program for 3- and 4-year-olds. Children will explore science and nature through a uniquely Jewish perspective, integrating the principles of STEAM (Science, Technology, Engineering, Arts and Math) education with Jewish values, stories, rituals, blessings and spirituality. Both programs begin in September and end in the spring (see Related Forms below for specific dates). Children are accepted on a first-come, first-served basis until we run out of space. 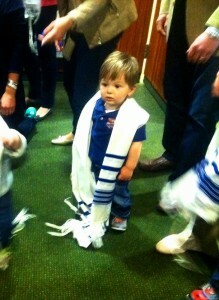 Parents need not be Temple Beth El members. For more information, please contact Lisa Gittelman Udi.